Right now you can pick up this leading digital art software for almost half price. Looking to up your painting game? Corel Painter 2019 will help you create your next masterpiece. Though it typically costs $429, it's currently on sale with 41% off at just $249. 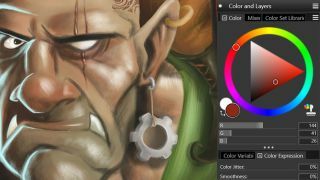 This painting tool is one of our picks for the best software for digital artists. And rightly so. With over 900 different brushes in 25 different types of brush categories, Corel Painter 2019 is a must-have in the arsenal of any digital artist. It boasts the most realistic Natural Media and exclusive particles, pattern pens, thick paint brushes and even more – so anything you dream up you'll be able to paint perfectly. Since artists are known to be particular, everything is totally customisable. Import brushes, custom palettes, textures and gradients as you wish. Auto-Painting Panels make prepping, auto-painting and restoring details even easier. And thanks to Corel Painter's multi-core processors and CPUs you'll be able to create your masterpieces faster than before. Start making masterpieces today with Corel Painter 2019. It's available for $249 here.